Many U.S. law firms have been innovators, however, despite the restrictive regulatory environment. In 1990 and 1991, our consulting firm represented a consortium of 17 of the largest law firms that had consulting affiliates, subsidiaries or internal MDPs at that time, in researching and drafting a white paper which was submitted to the ABA advocating for Multi-Disciplinary Practices. After much heated debate within the ABA, the proposal was struck down. It was raised again and rejected in 1998 and in 2012 – but the ABA House of Delegates has remained stubbornly steadfast (some might say stuck in a quagmire) in its objection to MDPs. We now again explore the advantages and roadblocks and in subsequent articles will share specifics examples of how law firms are expanding their service offerings to the marketplace. Subsidiary – This refers to a consulting or service arm that is wholly-owned by the law firm. Most often, subsidiaries have been founded by and often still run by a partner in the law firm who wears two hats. Clients served are most often law firm clients but several subsidiaries serve independent clients. who have passed through the law firm’s conflicts system. Affiliate – Occasionally a firm will call a wholly-owned subsidiary an affiliate but more often this term refers to a joint venture relationship in which there is shared revenue and profit or some other financial and legal contractual relationship. Integrated Multi-Disciplinary Practice – This term will be used to describe service offerings housed within firms that are provided by lawyers as well as other professionals such as consultants, lobbyists, knowledge management and technology specialists, economists, and practice managers. This will describe an approach to client problem solving in which multiple types of expertise and experience are brought to the table. 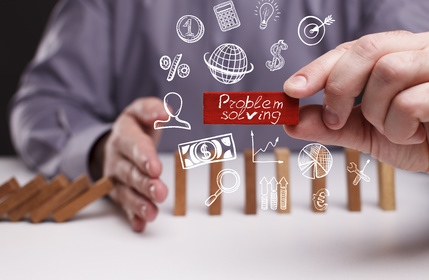 Service Delivery Solutions – This category applies to new tools and resources, many of which incorporate technology and process improvement tools to enable more effective and efficient service delivery models and information. Why Do/Would MDPs and Subsidiaries Benefit Clients? Proponents of law firm multi-disciplinary and ancillary businesses understand that client needs often extend beyond traditional legal services. Legal problems and strategies often intersect with business priorities, economic analysis, public policy, business valuation, compliance, and many other areas where consulting and accounting firms or individual professionals provide expertise. Members of the American Bar Association have been battling for decades this issue of whether or not to allow lawyers to be in business and share profits with other professionals who are not lawyers. The issue at heart is Rule 5.4 of the Model Rules of Professional Conduct. Because Washington, D.C. has been the only jurisdiction in the country to allow non-lawyers to be partners with lawyers and to share profits together, it was the first place to have a number of the MDPs and subsidiaries back in the late 1980s and early 1990s. How Have U.S. Law Firms Responded? In 1990, we documented over 80 law firm subsidiaries and consultancies in the United States, about half of them associated with D.C. firms. Since that time, the number of subsidiaries has declined for a whole host of reasons: concerns after the fall-out of Enron and SOX, difficulties encountered by subsidiaries with law firm conflicts preventing them from serving clients independently, the difficulties law firm partners had understanding and supporting the growth of these entities, and a myriad of other challenges. Even the Big 5 at the time pulled back on their law firm practices in response to Sarbanes-Oxley post Enron, but all have aggressively and somewhat stealthily built these back up as we discussed in the prior post [Who Do Law Firms Compete with and Why?]. Our current research has identified at least 67 law firm wholly-owned subsidiaries run by law firms and primarily based in the United States, 8 strategic alliances or joint ventures and 18 imbedded multi-disciplinary practices (although this number is extremely low as a number of firms have these but don’t advertise them as such.) In order to abide by the Model Rules, firms operating MDPs are fully complying by employing high level, other-than-lawyer experts. Professionals are typically employees not partners, do not profit share and they are there primarily to serve the clients of the firm, not generate an independent client base. In our next blog post, we will share some examples of firms that have developed multi-disciplinary practices, subsidiaries and/or joint venture/strategic alliances in an effort to better meet client’s needs and provide them with a fuller service option. Massachusetts Model Rule 5.7 allowed law-related services early on, which included insurance, financial planning, trust services and a number of others as “not prohibited as the unauthorized practice of law when provided by a non-lawyers.” It is why a number of the established Boston firms have long had separate trust companies associated with their firms.